We have two projects to share today. First up is Mary with a sweet dog-themed mini album. Hello everyone! 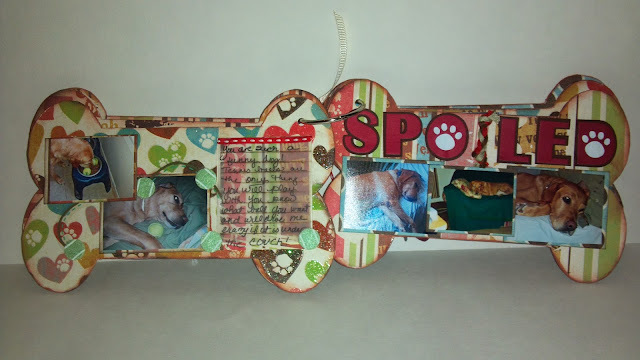 Mary here with one of Gina's Dog Bone Mini Albums featuring my dog, Molly. The album contains six bone shapes to use for the covers and pages. The first thing I did was gesso the bones. After that I covered each of the bones with paper from The Pets Stack by DCWV and inked all the edges. 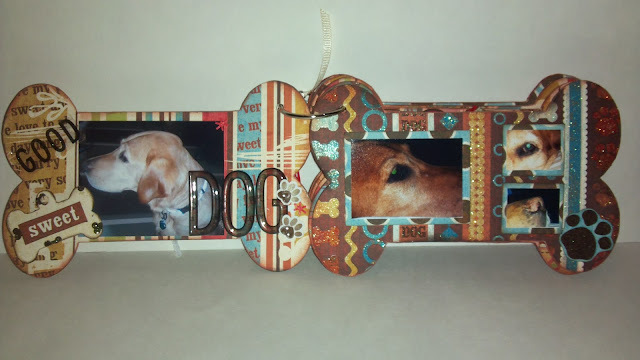 On the cover I have an embossed frame with two metal pieces, and metal letters spelling out "Molly". Here are the first two pages of the book. 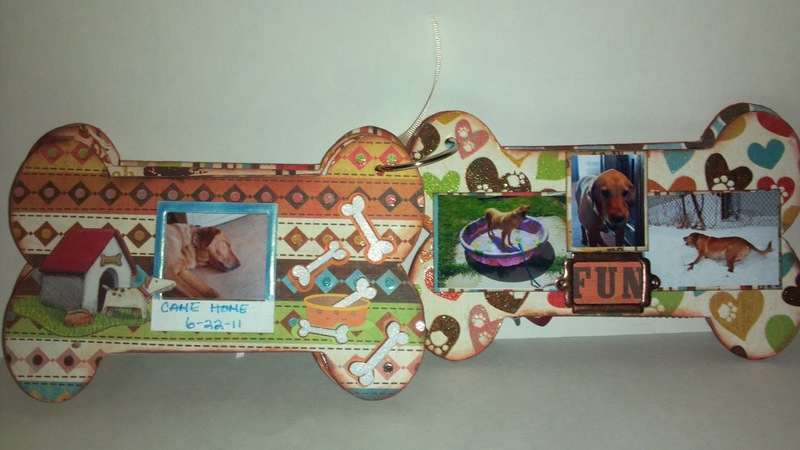 The "sweet" is a cutout from the paper collection and is attached to one of the dog bone tags that comes with the album. Above is page three and four of the album. 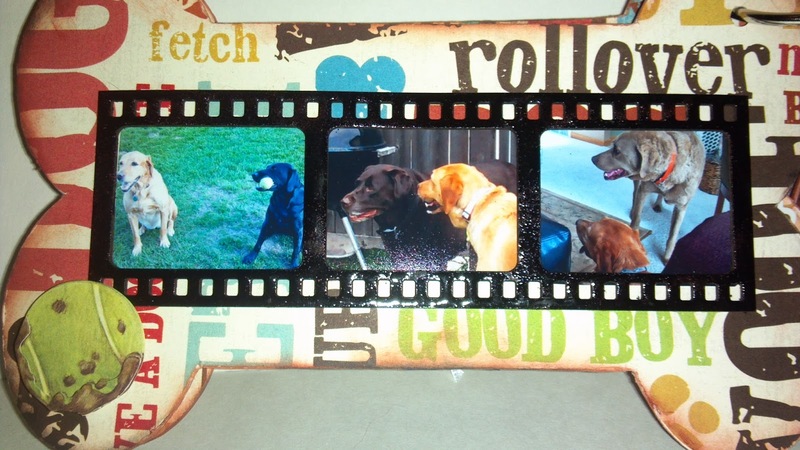 On page three I used the three-frame film strip that comes in the "Say Cheese Shapes Set". This is page five and six showing the two things she loves best; her tennis balls and napping on the couch! Here we have pages seven and eight. 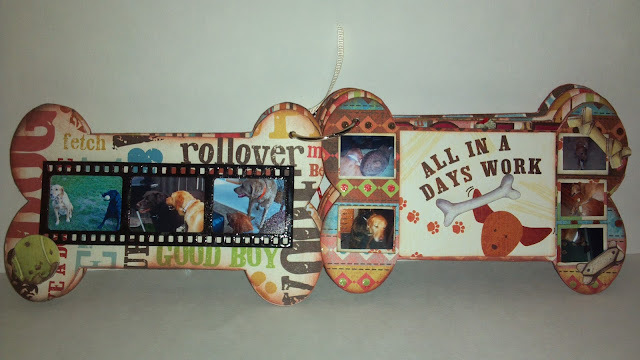 The Polaroid frame is from the "Say Cheese Shapes Set". The "fun" is from the paper collection and placed inside one of the embossed miniature bookplates. Pages nine and ten complete the book. I used another miniature bookplate and the word "joy" on page ten.Thanks for stopping by the blog today! For more pictures and details of the mini album, please visit my blog HERE. Next up is Heidi with a project designed especially for Valentine's Day. This fun wall hanging kit has been done by a few team members earlier this month with each one looking very different. Below is what Heidi did with hers. Hi, it's Heidi here! Today I have a cute little project for Gina's Designs. It is a wall hanging kit with everything you need to create a cute Valentine project. I began by covering the back piece of chipboard with some cute little XOXO paper from SU. I then painted the X's and O's with pink and white paints and then added a little texture to the tops of the pink ones. I also used a few little gems on the whites to give it a little extra sparkle. The pink heart border is also part of the kit. Good morning all you paper crafters out there. Shanna here today with a layout! Here you can see my Gina's Designs chipboard piece which got a coat of gesso, spray, and more gesso. 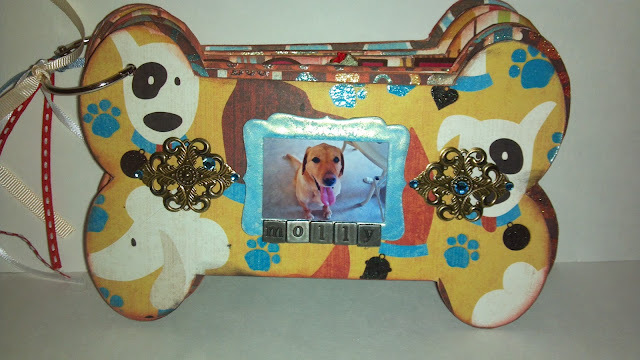 This is a fun piece of Gina's Designs chipboard that got a coat of gesso, then some glass bead gel, and then sprayed and painted. Here is a close up of the beading! 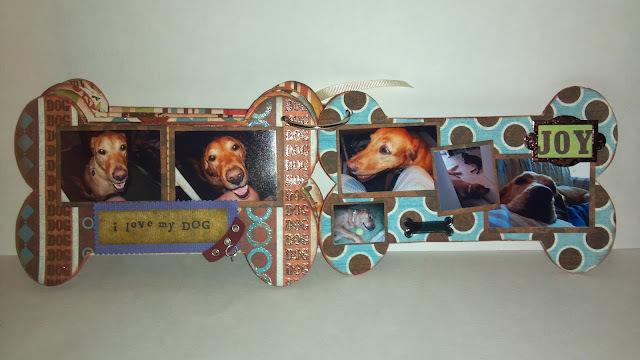 Hope you are feeling inspired to pull out your chipboard pieces!! !